One of the most adventurous vacations you can take is a road trip. What better way to have new experiences and bond with friends and family members (and even your pets) than by traveling to new places together? While it can be fun to “wing it” on a road trip, you should have at least a general sense of where you’ll be headed. 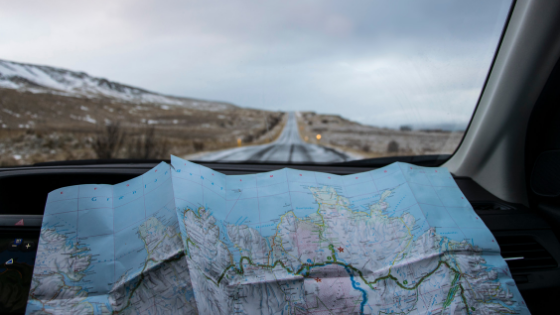 Fortunately, GPS makes it easier than ever to get where you need to go, even if you take detours along the way. Strongly consider getting a tune-up, an oil change and/or safety check before leaving on your road trip. Have the fluid levels, the air in the tires, the turn signals and all of the lights checked as well. Check your car’s spare tire and make sure to bring along the jack as well as a tool set to manage minor repairs. Bring a basic first-aid kit and items to help you in the event your car breaks down. Bring along flares, jumper cables and extra fluids such as oil and antifreeze. In addition to your clothes, personal items and everything you would normally bring on a vacation, don’t forget to pack games, books, crossword puzzles or other ways for passengers to pass the miles. This is especially important if children will be joining you on the trip. Bring along a cooler with drinks and snacks so you won’t have to stop as often. Lastly, don’t forget to do a safety check of your Springfield apartment as well. Make sure doors and windows are locked and that all appliances are turned off. Let a neighbor or the management know you will be gone so they can keep on eye on your apartment while you’re away. Road trips are among the most stimulating and adventurous vacations you can take. Use these tips to prepare for the trip and ensure everyone has an amazing time. Make Springfield apartments The Residences at Springfield Station your launch pad for every vacation.